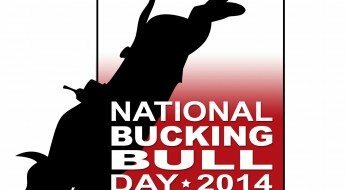 ORCHARD, Texas, March 19, 2014 – On Saturday, April 5, 2014, penny loafers will be traded in for cowboy boots, khakis will be replaced by blue jeans and everyone will be touched by a little bit of country, as America gears up for…National Bucking Bull Day! This unprecedented national event is being unveiled to sports enthusiasts, country music fans, thrill seekers and even “city slickers” – proving that bucking bulls are not just for cowboys anymore. Exclusive Genetics (EG), a world leader in the bucking bull industry, will host a competition in honor of the inauguration of National Bucking Bull Day (NBBD). EG CEO Billy Jaynes says, “Now is the time to be involved in this great American Heritage of bucking bulls.” He emphasized, “Anyone can be a part of this phenomenon, you just need one thing…a passion for the sport.” The NBBD Finals will take place on Saturday, April 5 at 2:00pm (PDT) at the ACM Party for a Cause® Festival in Las Vegas, Nevada. Showcasing some of the finest animal athletes in the country, the bucking bull competition will feature the 5 winning bulls who came out on top at the recent NBBD Preliminaries. The 2nd Annual ACM Party for a Cause® Festival is a two-day outdoor music festival headlined by Rascal Flatts and Keith Urban on Friday, April 4 and Saturday, April 5, respectively. The festival will be the first-ever special event held at The LINQ, Caesars Entertainment’s new open-air shopping, dining and entertainment district at the heart of the famous Las Vegas Strip, and will feature multiple stages for ongoing LIVE country music performances, interactive games, a country marketplace, and more to be announced. The event is part of The Week Vegas Goes Country® leading up to the 49th Academy of Country Music Awards on Sunday, April 6, 2014 at 8:00 PM live ET/delayed PT on the CBS Television Network. Enthusiasts across the country have an opportunity to participate in National Bucking Bull Day by entering the “Bull Buck Off” Sweepstakes at www.NationalBuckingBullDay.com. Fans are able to vote for their favorite bull to win the NBBD Finals. Then on April 5, voters can tune into NBBD’s Official Media Sponsor, Bucking Bull TV, to see live action and watch their bull buck. All entries submitted will be entered into a sweepstakes where one lucky voter will win a 3 day/2 night stay at the world-renowned Jaynes Gang Ranch in Orchard, Texas! To enter or see complete rules for the “Bull Buck Off” Sweepstakes, to view bucking bull action or to learn more about National Bucking Bull Day visit www.NationalBuckingBullDay.com. The core concept of Exclusive Genetics is to take PBR, CBR and rodeo fans and turn them into bucking bull owners. There are many fans who dream of becoming a “stock contractor” and Exclusive Genetics was founded to make this a reality. Their slogan “No truck, No Trailer, No Ranch, No experience necessary,” has assisted EG in creating a business that now has over 200 customers located in 41 states and 5 countries worldwide. Visit www.ExclusiveGenetics.com. National Bucking Bull Day acknowledges the animal athletes who are part of the bucking bull industry, one of the fastest growing segments in the world of sports. With bucking bulls competing for millions of dollars in purses each year, National Bucking Bull Day is dedicating to educating the public about the industry while showcasing some of the best competitive bulls in the nation. The 2014 National Bucking Bull Day will be held in Las Vegas, Nevada on April 5th in conjunction with the Academy of Country Music Party For a Cause® Festival. Bulls will compete for payouts in excess of $100,000. Visit www.NationalBuckingBullDay.com.